Silicon Valley is a big source of White House campaign funds. But progressive Democrats who otherwise appeal to some tech types are bashing the sector. Others support Trump’s China crackdown and tax cuts but are afraid to back him publicly. It could mean a wait-and-see approach. 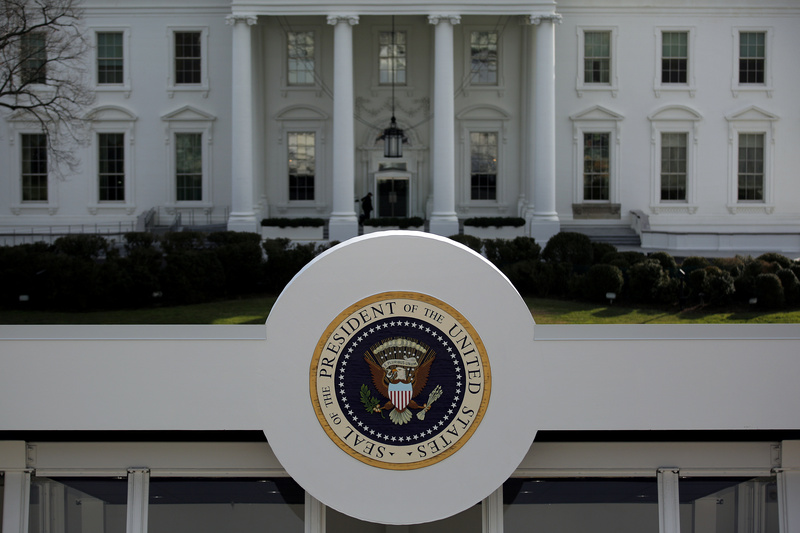 A reviewing stand is seen outside of the White House for the upcoming presidential inauguration in Washington, U.S., January 15, 2017. Amy Klobuchar, a U.S. senator and 2020 presidential candidate, held a fundraising event in San Francisco on March 19, according to Recode. The price of entry for the event was up to $5,600. Klobuchar has proposed increasing standards for antitrust scrutiny, including for mergers and acquisitions. Another declared candidate, Senator Elizabeth Warren, has suggested breaking up big Silicon Valley companies like Amazon, Facebook and Alphabet’s Google. Other White House hopefuls, including Senators Cory Booker and Kamala Harris, have also raised money in the area.